Dodging the showers, I do my usual circuit, taking in Prospect Field, the golf course and the beach. 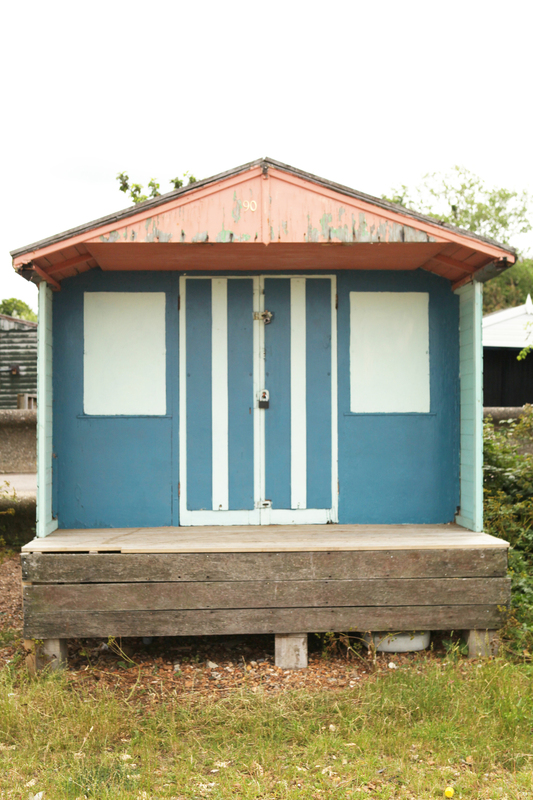 I pass two lines of multi-coloured beach huts, some looking as though they’ve shut up for decades. I’m particularly interested at the moment, because I’m thinking of investing some of my non-existent pension in one, for the general benefit of the family. West Beach is less busy than the rest of Whitstable’s shorefront. Far from any facilities, bars, or shops and a bit of a hike from anywhere to park, we spend family celebrations in this same beach hut – rented on a weekend basis. The news, this year that this hut was no longer available because it’s up for sale, is what has triggered this thought process. I nearly bought a beach hut when I first moved, but was dissuaded by my son, who thought his side of the family wouldn’t use it. Prices have doubled – thanks Jacques – but in fact we all enjoy sheltering in its welcoming lea on birthdays and sunny weekends, especially my grandson. So we shall see……The lure of tiny houses is hard to resist. PS The new book shows the beach here in its full glory with pictures by Victoria Spofforth. PPS Looking forward to seeing Suffolk friends at The Leaping Hare on Friday 23rd for my Book Launch. I shall be there all day and would love to see you.